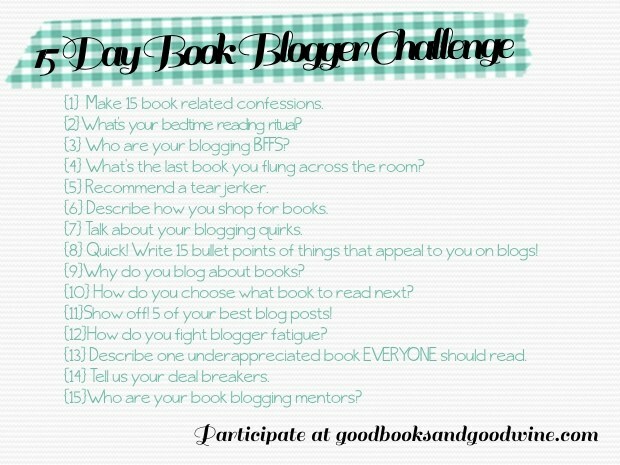 I saw this challenge being done by Allison over at Good Books and Good Wine and decided to try my hand at it! It's pretty self-explanatory, just post about the topic on the day you do it. So since today is day 1 I have 15 Book Related confessions to share with you all. 1 - Even though I love Harry Potter, I don't understand why people go Gaga over it. 4 - I always think the heroines should avoid the dark mysterious guys and go with the [obvious] choice of the nice guy. 10 - I judge people harshly if I see them bend a page in a book. Like, why you do that? Don't you know you're hurting it? 14 - I've always liked the idea of wearing glasses when reading, but now that I have to I can never find them.